Improved Bike Lane May Be Coming to 11th Street North of Monroe | Park View, D.C. 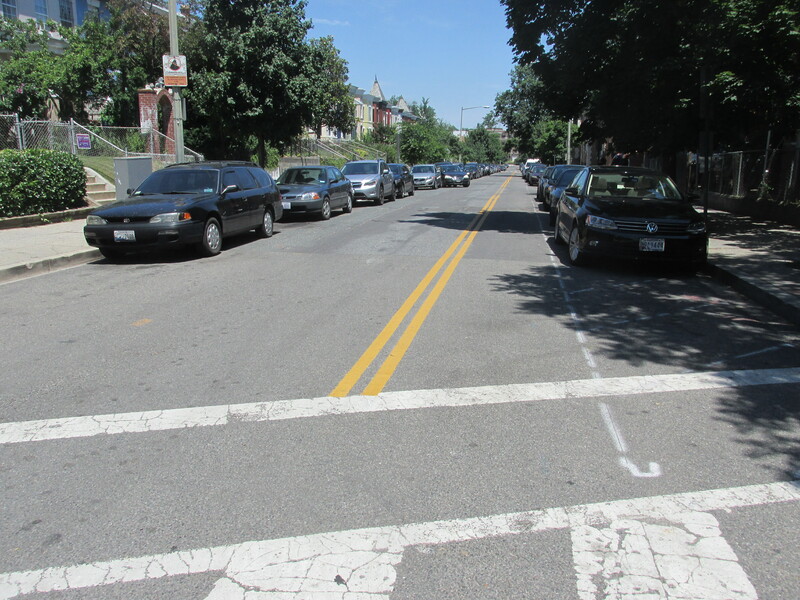 Some weeks ago, DDOT informed me that they had been meeting with ANC 1A07 Commissioner Frost and affected residents about a proposed contra-flow bike lane on 11th Street, NW, between Monroe Street and Spring Road. Based on new lane markings that have been painted on 11th, it appears that DDOT may be moving forward with this proposal (see photo below). I’ve reached out to DDOT to confirm that this is indeed what is coming and will update this post once I have confirmation. During DDOT’s meetings with the community, opinions were mixed on the contra-flow proposal. Other options to improve bike transportation in the area included one-way paired bike lanes on 10th and 11th Streets, and another option without bike lanes using bike route signs to direct cyclists onto the correct one-way streets – 11th southbound, and 10th northbound. As stated above, I’ll provide an update once I know which of these options are being implemented. This entry was posted on June 20, 2016 at 7:01 am and is filed under DDOT, Streets and Trees, traffic. You can subscribe via RSS 2.0 feed to this post's comments.